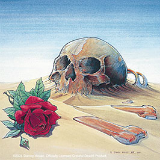 The Grateful Dead Dead Ahead DVD features performances from the Halloween 1980 concert at Radio City Music Hall in New York City as well as bonus material from the night before. 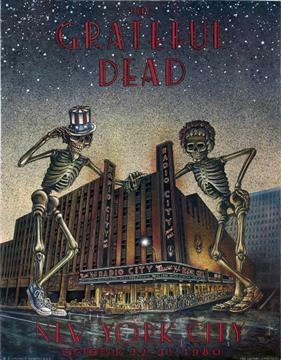 These shows were the final two nights of a landmark run that began with 15 concerts at the Warfield Theater in San Francisco, continued for two more at the Saenger Center in New Orleans, and ended with 8 nights in New York. The final night was hosted by the comedy team of Franken and Davis, and the video includes several of their skits. The Radio City Music Hall concerts are legendary because of the bands return to playing acoustic for the first time since 1970. Each show featured 3 sets, beginning with an acoustic set followed by two electric sets. All 25 shows were recorded for two live albums, the acoustic Reckoning (which is fantastic by the way) and electric Dead Set . Because of this, audience taping was forbidden which made life difficult for tapers who had to go stealth. Undoubtedly, the acoustic sets are the highlight of this run, with the reappearance of several songs which hadn't been played in years as well as unplugged versions of some of their most famous tunes. The band was in rare form for these sets, obviously having a blast, chatting with the audience and clowning around onstage. The acoustic music was nearly flawless - you can tell they'd been practicing which wasn't something they often did. Although there were a few great electric sets, many of them pale in comparison to what they were capable of around this time. There may be several reasons for this, not least of which is that they often played it safe when they were recording, avoiding risk taking and exploratory jamming. This translates to many solid but short versions of songs that, while technically well played, can come off as somewhat boring and lacking energy. 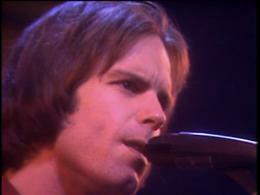 Originally released not long after the concerts, the video has been available on VHS for years. However it wasn't released on DVD until 2005 when it was remastered from the original 1" video and the master multi-track audio tapes recorded by Betty Cantor-Jackson. It now looks and sounds better than ever (these screenshots don't do it justice) and is nearly an hour longer with the bonus material. 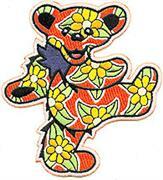 Being the picky Deadhead that I am, I can almost always find fault with their official releases. One of my biggest complaints is that they're usually way too short and this is definitely true of the Grateful Dead Dead Ahead DVD. 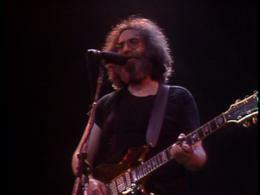 The original video footage from 10-31 is 114 minutes long, which may seem like a lot, but when you consider that the concert was nearly five hours long, you realize they had to cut quite a bit. The thing that bothers me the most is that there's only five acoustic songs (including Heaven Help The Fool from the bonus footage). This is the rare stuff that I really want to see. I could easily watch several more hours of acoustic performance but instead we get Me and My Uncle, Mexicali Blues, and Don't Ease Me In, three of the band's least remarkable songs. I know I'm being unrealistic here and they had to limit the running time. This was long before the days when they began releasing entire shows on DVD, and even today a 5 hour concert would be pushing it. This is really my only big complaint with the Grateful Dead Dead Ahead DVD. In my opinion any video footage of the band from the first twenty years of their career is priceless simply because of it's rarity - and there's definitely a lot to like here. 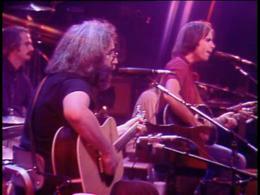 Every one of the acoustic tunes included on the Grateful Dead Dead Ahead DVD are highlights for me. First up is Bird Song which made it's return during this run after seven years and 382 shows, according to Deadbase. It's considered by many to be one of their greatest songs and was received joyously by fans. It's the only acoustic song included which has jamming potential and they do stretch it out a little which is gratifying. Next, the traditional tune On The Road Again is a rare treat having been played only 37 times between 1966 and 1984. This is followed by the equally rare To Lay Me Down, which is probably my favorite part of the whole video, along with Ripple which comes next. 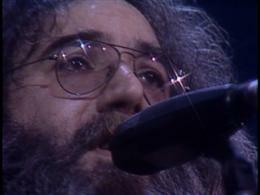 In my opinion, To Lay Me Down is one of the most beautiful of all Hunter/Garcia songs if not one of the most beautiful songs ever written - it just blows me away every time I hear it. It was at it's best in acoustic form - why they didn't play it more often is beyond me. 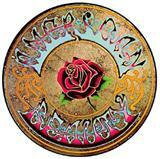 Finally comes Ripple - the quintessential Dead song which best summed up their whole philosophy (or lack thereof). 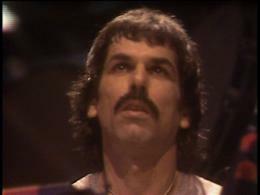 One of the band's best loved tunes which was played so rarely that each performance was an event to be treasured. They closed every acoustic set with it during the run - I doubt anyone minded the repetition. The electric portion the Grateful Dead Dead Ahead DVD starts off with the overplayed medley of Me And My Uncle and Mexicali Blues. I don't really mind Me And My Uncle but Mexicali Blues has got to be one of Bobby's most annoying tunes. They should have skipped this and included a couple more acoustic songs as far as I'm concerned. Next comes Ramble On Rose which is always fun and is played with gusto here. 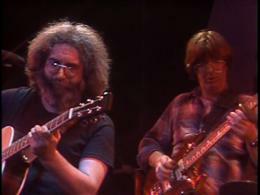 Little Red Rooster has some nice slide guitar work by both Jerry Garcia and Bob Weir. 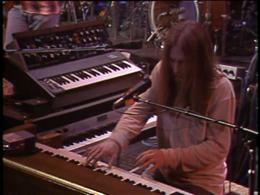 But unfortunately they hadn't developed Brent's additional verse yet, which I think added a lot to the song. Don't Ease Me In is never all that interesting but it's followed by a Lost Sailor - Saint Of Circumstance pairing which is masterfully played with high energy. The medley had debuted just a year before but was played often so it was well polished by this point. It took me quite a few years to appreciate these Bobby songs but they eventually grew on me - when played well, like they are here, they can be quite enjoyable. I believe this is the only time these songs have appeared on film, so it's an important visual record of this medley which they were performing regularly at the time. Saint of Circumstance goes straight into a sweet Franklin's Tower which is always welcome and is well played here, although shorter than I would've liked. Franklin's Tower leads into Drums and Space, which is not really noteworthy other than the fact that Space develops into a lovely Fire On The Mountain. Normally I prefer to have my Fires preceded by Scarlets but hey, I'll take what I can get. Because the band hasn't built up the usual momentum through Scarlet, this Fire starts out rather slowly but eventually picks up and rocks out to a satisfying conclusion, making it's way into an upbeat and fun Not Fade Away. Again, both songs seem a little short but maybe I'm just spoiled. An energetic Good Lovin wraps things up in fine fashion, with the band and audience all smiles, even though I'm sure the band was exhausted after playing 25 shows with three sets apiece in less than five weeks. 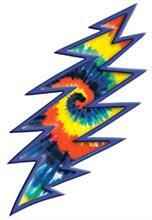 The bonus material on the Grateful Dead Dead Ahead DVD is all from 10-30. 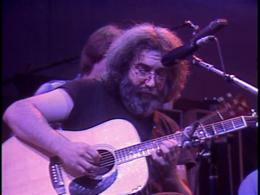 It starts out with Bobby's rare instrumental Heaven Help The Fool which was only played live 17 times, all of them during this acoustic run in 1980. It's a very cool jam and a great selection for a bonus. Phil joins in towards the end of the song. The rest of the material is electric and consists of the first four songs in the third set. This stuff is just as good if not better than the electric performances in the main feature. First up is a fat, funky Shakedown Street which is absolutely delightful. Then we have a powerful Samson and Delilah that rocks hard just they way it should. This is one of Bob Weir's most inspired covers, in my opinion. 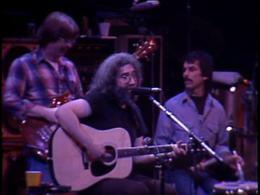 Finally, there's a pairing of He's Gone into Truckin' which may be the most interesting part. 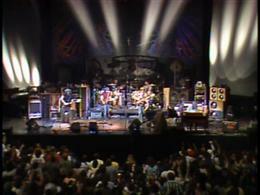 While not the greatest version ever played, the transitional jam contains the only real improvisation seen on the DVD. 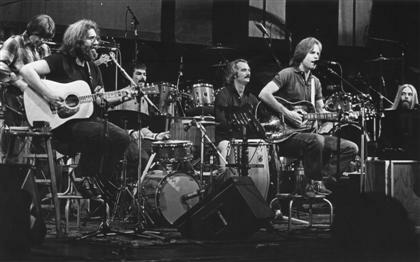 The radio version of Truckin' may be the most overplayed Dead song of them all, but over the years it developed into a real show stopper in live performance and was often a highlight in the second set. Of course the reference to New York gets a huge roar from the audience. As you can see, I have nothing but good things to say about the bonus material and I think it adds a lot of value to the video. In conclusion, my complaints about the Grateful Dead Dead Ahead DVD are minor and are far outweighed by it's historic significance. It's a priceless snapshot of the band during this landmark run of shows. The comedy skits by Franken and Davis are really entertaining and serve to tie the whole thing together. They show a real understanding of what the band and audience were all about and make me think they were probably fans themselves. Hearing Steve Parrish call Al Franken a shithead after he drops one of Jerry's guitars is worth the price of admission alone. I've always enjoyed Dead Ahead from the first time I saw it long ago on VHS, and the DVD release has made it even better. I highly recommend it and consider it essential viewing for anyone who likes the band. If you're interested in buying it you can find it right here .